The two stalwarts made their presence felt at opposite ends of the pitch in a season otherwise dominated by the performances of Gen Nxt. 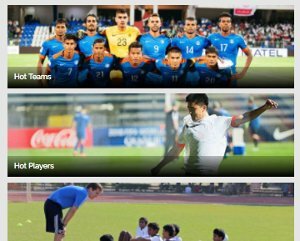 A whirlwind season of Indian football passed and every club had its own hero, nemeses, wizards and witches. If folklore is to be believed, this has been one of the most exciting football seasons India has seen in recent times. A continental challenger joined a league that has been blamed for glamorizing the game more than adorning it on the pitch and the climax were as expected. The conclusion, although, was not. The beauty of the game. On the drier patches, the story was even more romantic. 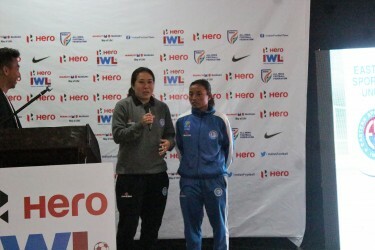 A club that came into the top tier just a year ago lifted the I-league title, defeating the much-celebrated Kolkata clubs to the throne. Yes, the club that was advertising youth and homegrown players until last season resorted to foreigners to the title. But, the credit should not be taken away from the club that was, until very recently, not taken too seriously due to its almost reckless ownership, an arm that played a key role in its successful journey. The beauty of the game. Here, we take a look at the Indian team of the season, voted for by Khel Now correspondents in an open forum. Special Correspondent Punit Tripathi lists the names and voices his opinions on why this XI out-performed everyone else, both on the pitch and on paper. Karanjit Singh? Gurpreet Singh Sandhu? Close. The winner of this poll was Jamshedpur FC’s Subrata Paul, someone who was written off before the season began by a lot of home fans. Yet, Steve Coppell knew the quality the travelled custodian brought with himself. 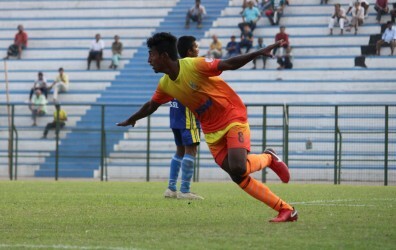 Singh played 18 matches of Jamshedpur's campaign, registering seven clean sheets. Pressure? Better. 74.57% shots saved over the course of the season and here’s exactly what got Spiderman the votes. Paul was the ever-present saviour, something any Dynamos fan would know the importance of. Pritam Kotal? Narayan Das? None of the national team regulars made the cut. Kotal was average according to a few quarters and Das had a composed, regular season. 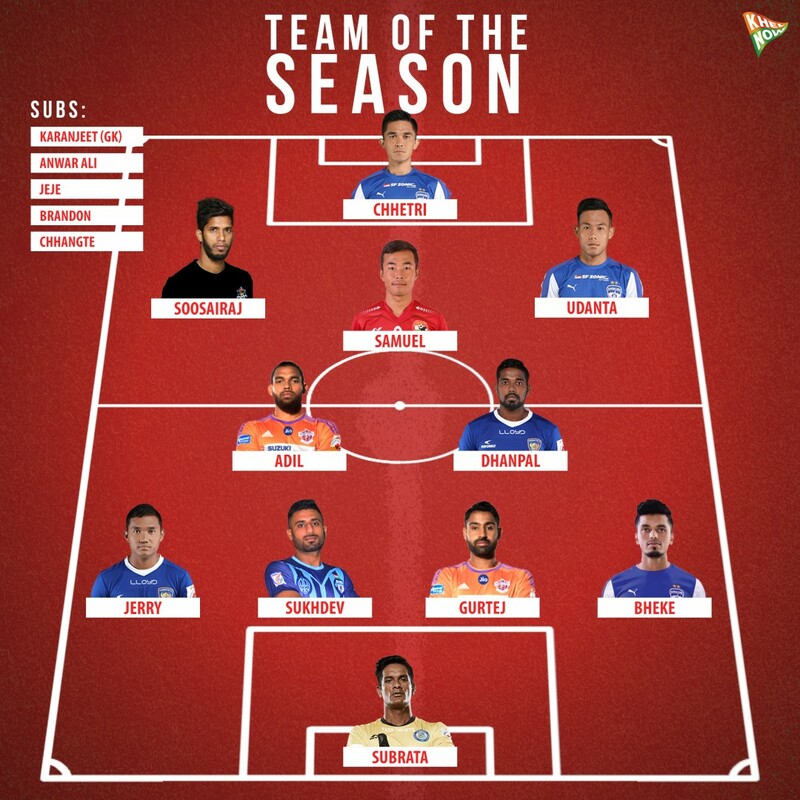 Meanwhile, the finalists were runaway winners of this vote, with young left-back Jerry Lalrinzuala and Bengaluru FC right-back Rahul Bheke donning the roles. Easy on the eye and comfortable on the ball, both players featured for almost the entirety of the season. 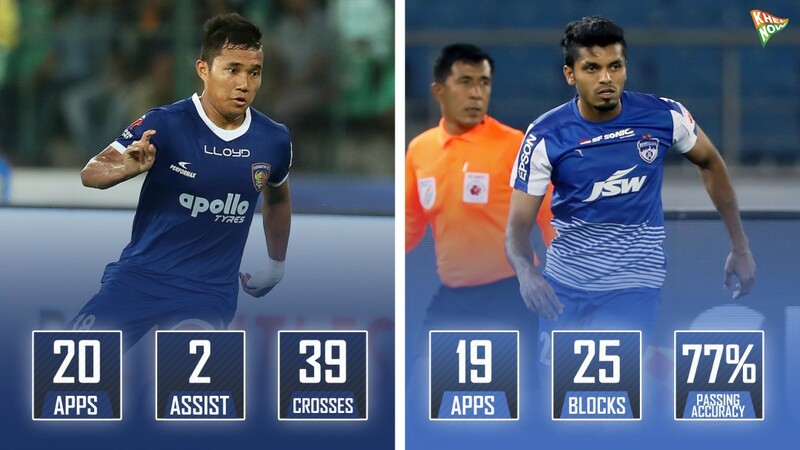 Jerry has two assists to his name alongside a 70% passing accuracy, whereas Bheke managed a pass accuracy of 82%, a rarity for defenders Indian football. These lads showed maturity and textbook concentration, leading their coaches to lavishly praise their contributions. Sandesh Jhingan? 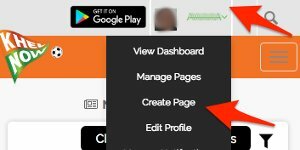 Anas Edathodika? Jhingan was close, Edathodika wasn’t. 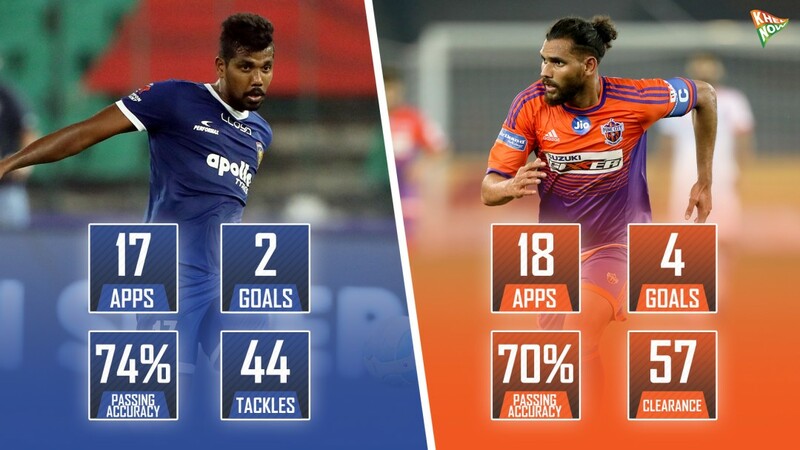 Neither of these two, the Indian backline mainstays, won votes after undermining performances during the Indian Super League season. Middle-aged defenders Sukhdev Singh and Gurtej Singh form the all-Punjab backline for Khel Now’s Team of the Season. Gurtej, in Ranko Popovic’s mind, was immovable from his team-sheet as the Stallions heavily relied on a foreign attacking prowess. Meanwhile, Sukhdev was key to Minerva’s balance and stability at the back, scoring once and assisting twice in 14 appearances. Both defenders showed immaculate composure, earning just one yellow card each during their respective leagues. Rowlin Borges? Pronay Halder? Mohd. Rafique? None of these three came close to winning the slots, let alone get them. Borges had a stop-start season with an abysmal NorthEast United team, Halder returned from a long injury layoff while Rafique, on several occasions, was fighting for his spot with Cavin Lobo. Dhanpal Ganesh and Adil Khan, meanwhile, were resounding successes in a team that lifted a trophy and in another, that reached the semi-finals. Khan has played as a central defender as well, but his passing ability and late runs into the box to score crucial goals gave FC Pune City the points they needed. Ganesh was one of the star performers throughout the season, making 1.9 interceptions per game. Khan was the more aggressive amongst the two, with four goals and a 67% dribble success rate every game. Ganesh, on the other hand, made close to 580 passes with 80% accuracy during the campaign, mean for a central defensive midfielder who’s often put under pressure to lose possession. These two easily make the crux of the team and give a lot of freedom to the attacking midfield. The creative impetus has fallen on young shoulders here and there weren't many who’ve taken it in their strike like these lads. While Brandon Fernandes and Jerry Mawihmingthanga really came close, they did not make things happen, or at least, not at crucial junctures. Michael Soosairaj, Samuel Lalmuanpuia and Udanta Singh are the voted creative trio for Khel Now. Reasons? Soosairaj broke ground when no-one really was sending shivers down the opposition backline. Taking responsibility that came with the armband, the Chennai City midfielder scored twice and assisted three to take last season’s debutants to safety. Lalmuanpuia, at just 19, has led the Shillong Lajong side out and with three goals and five assists to his name, once again proving age to be just a number at the hillside club. Udanta, oh well, isn’t he the next big thing on the Indian wing? The 21-year-old scored once but had six assists to his name. Add to that the seven big chances he created. 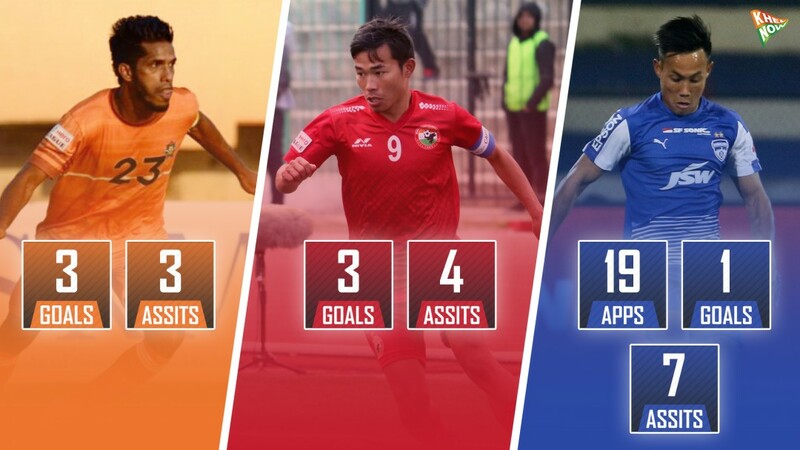 Not bad for someone under the wings of Indian captain, Sunil Chhetri. CK Vineeth? Balwant Singh? 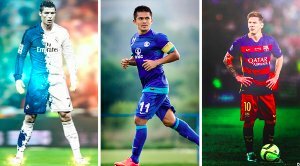 Well, Indian captain Sunil Chhetri, obviously, won this vote, but Jeje Lalpekhlua deserves a special mention. When you score fourteen and assist two, you’ll end up winning votes and so did Chhetri. Jeje, however, fails to feature even with nine goals, two assists, and an ISL winner’s medal, but Khel Now understands the importance of special mentions and thus, Lalpekhlua certainly deserves one. 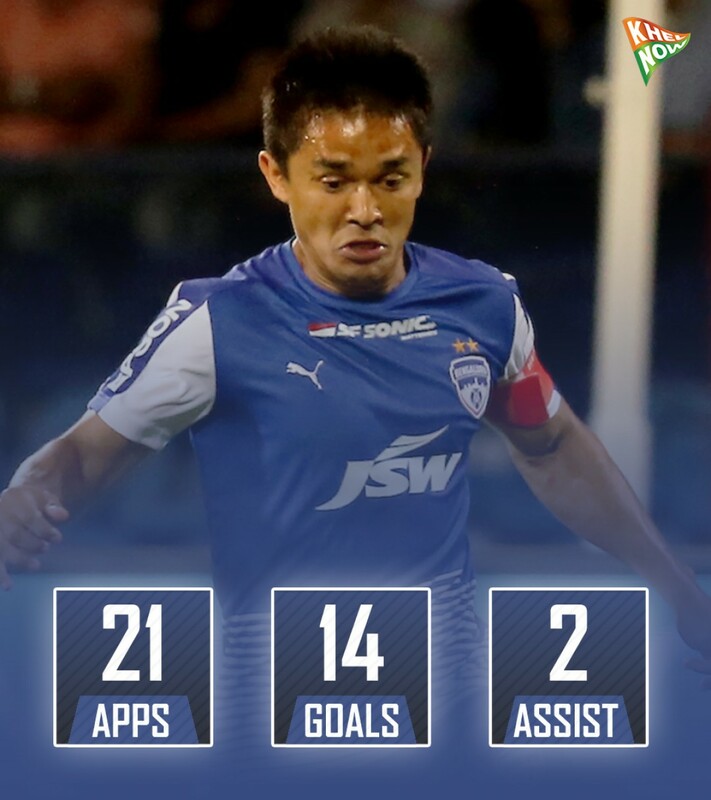 Chhetri, though, was on fire throughout the league. Playing his heart out, the #11 was instrumental in Bengaluru FC reaching the final in their debut season. The Blues' talisman was everywhere on the pitch, making interceptions, clearances, creating chances and more. Jeje, on the other hand, changed his game brilliantly under new manager John Gregory and added a new technical dimension to his footballing biodata. Usually a hold-up player, he has now added shades of balance, composure, passing and creative snapshots to his game, that’ll certainly help the Indian national team going forward. 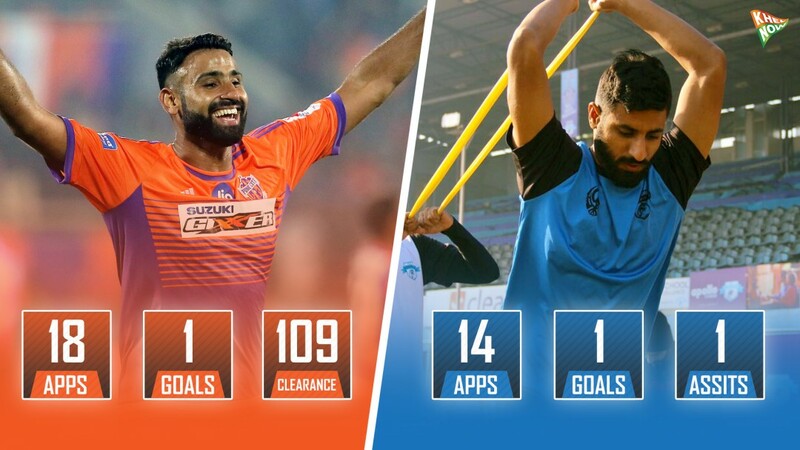 Operating in a 4-2-3-1 formation, Subrata Paul’s goal guarded by the sturdiness of Sukhdev and Gurtej Singh will certainly give strikers a worrying puzzle to crack. The passing ability of full-backs Jerry and Bheke is set to help the squad move the ball ahead comfortably, with Dhanpal Ganesh and Adil Khan being robust as well as capable passers up the pitch. Up ahead, Soosairaj from the left, Kumnam from the right and Samuel through the middle provide enough ball retention as well as a creative impetus. Chhetri, at the top of the heap, will latch onto half-chances, create some himself and will certainly do what he does best, score goals. This team, quite certainly, will be fiery on current form and if structured right. For our the Indian Team of the Season, it is appropriate apt than a man from within the borders is given the hot-seat. 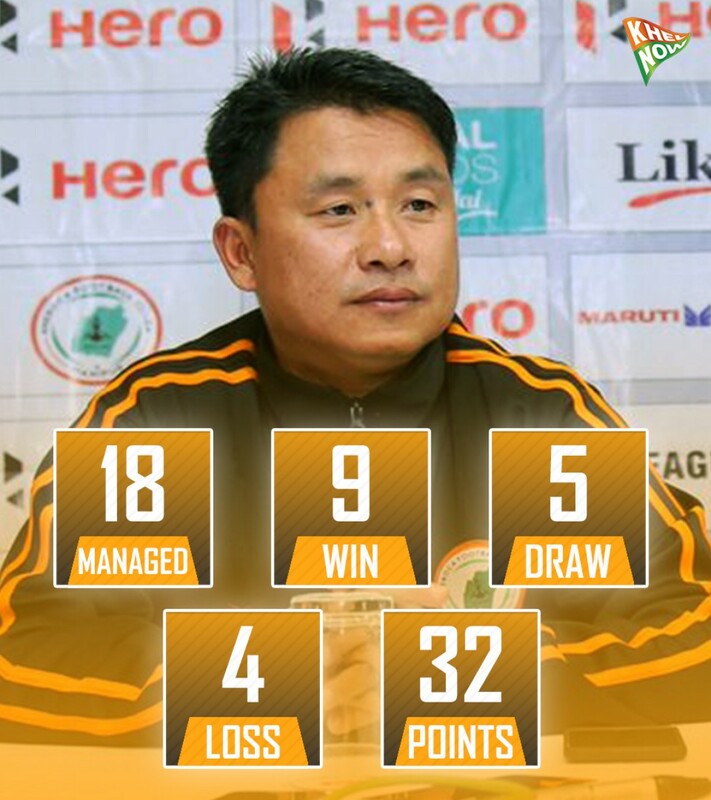 Gift Raikhan, a man who landed in the I-league after NEROCA FC won the I-league Second Division last season was the primary choice of everyone after NEROCA's brilliant run from winning the 2nd Division last season to coming second in the top division this season. The victory was certainly, no fluke. Raikhan brilliantly managed a team sans big names and made astute signings in the pre-season to ensure strong performances from a well-drilled unit. The man, evidently, prefers to line up his team in a 4-2-3-1 setup, and thus, will ensure central solidity alongside creativity and muscle up ahead.